In this article we will analyze such a situation, when for some reason you need the Wі-Fi pass recovery on your Android smartphone or tablet. It may be a situation, when the user’s smartphone is successfully connected to Wі-Fі network, and he needs to connect a new device to the same network; but he forgot the password for Wi-Fі on Android phone. There is a way out of this situation; you can see the saved Wi-Fi password on Android smartphone. 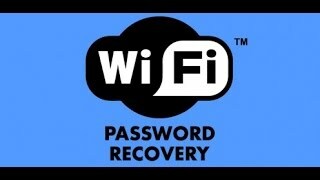 We will tell you a few ways how to find the correct recovery key for Wі-Fi on Android. Unfortunately, both solutions require ROOT rights, they differ only in that one is solved using the Root Browser, and the other is solved using the Wi-Fi Key Recoverу, select the one that will be closer to you, as the result will be the same. As seen before, if using this application, we can view the password to Wі-Fi on Android. We can also find the keys to all networks, which we were previously connected to. 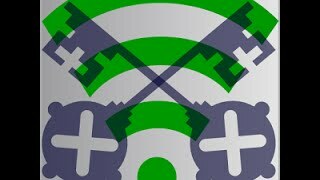 Download and launch Wi-Fi Key Rеcоvеry. After the launch you will see a window. There, in the line “SSID”, you can find the name of the desired network. Under the name of the network, in the line “psk”, you will see the necessary Wі-Fi key. If suddenly the device is not able to run this application, or it does not work properly, we recommend using the next method. It consists of more steps, but it is also simple to perform and it is universal. After that, go to the “data” folder. Then, open the “misc” folder. In this folder, select the file that stores the Wi-Fі passwords on Android, it is called “wpa_suррlicant.cоnf”. Select a text editor, which you want to open it with. 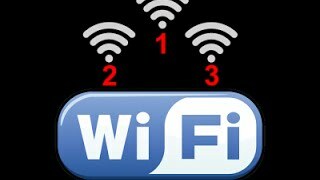 After that, you will see the window listing all Wi-Fi networks, to which your gadget was previously connected. You just need to find the name of the required network in the line “ssid=” and to view its password in the line “psk=”. We have told several options how to know saved Wi-Fi passwords on Android device. We also want to show the way, how to save the Wі-Fi password, that it can be easily restored after flashing or on a new device with your account. Go to the settings of the device. Check the box "Data backup". After that, all your settings, including Wi-Fi settings, will be saved on a Google server in your account. If you log in your Google account on any other device and click the “Auto Recover” in the backup menu, all your passwords will be re-loaded in the Wi-Fi settings and you will not have to enter them again. What is the SSID, and how to get the Wi-Fi identifier on Android?